Hitch up the caravan and head off for a family trip to any destination you desire, just make sure you take your camping essentials with you. 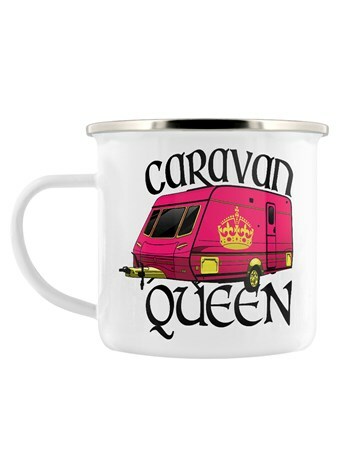 This brilliant enamel mug features a bright red caravan emblazoned with a gleaming cold crown. 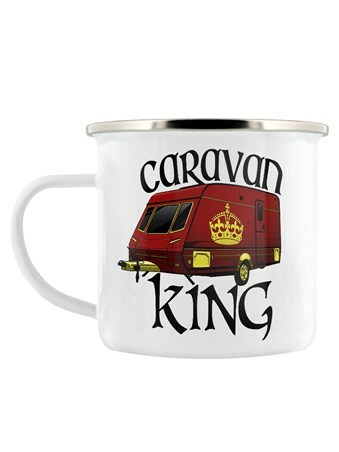 If you are a "Caravan King", then this is the perfect mug to take along with you the next time you hit the road. 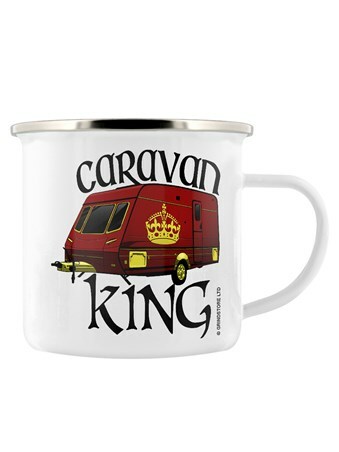 High quality, framed Caravan King, Camping Essential enamel mug with a bespoke frame by our custom framing service.